4DSupplements.com has a fantastic energy supplement. One that has been field tested and athlete approve. Jason Navarro, the owner and creator, spent time in the Major Leagues and his real world experience is the primary ingredient that separates this supplement from the rest. 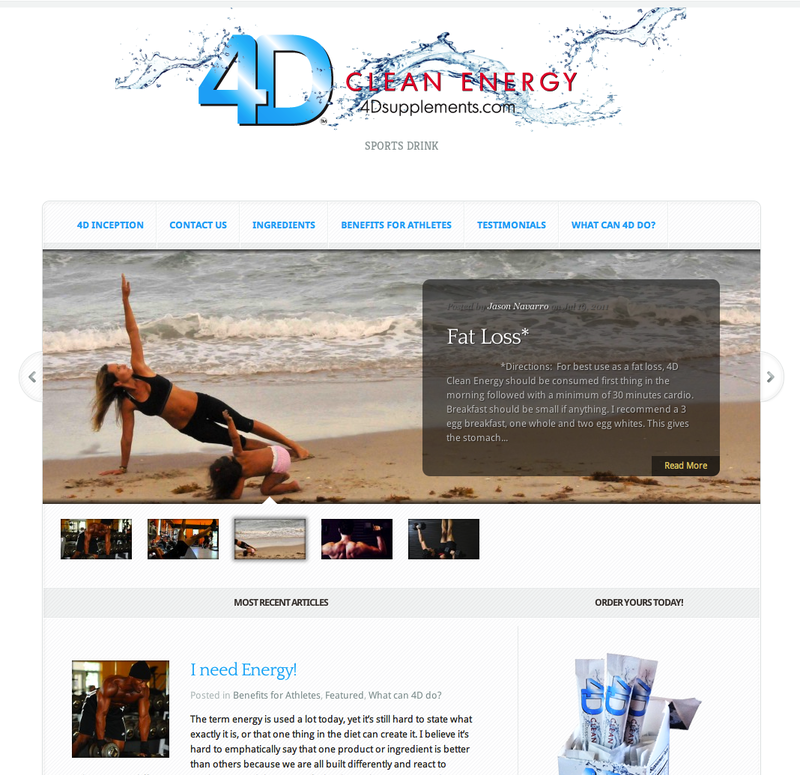 Jason demanded a website that was as organic and clean as his supplement and we delivered.